Akari Mochizuki (望月あかり), formerly known as Alika Mochida, is without a doubt the most active female Japanese enka (演歌) singer in the UK. She seems to crop up at pretty much every Japanese event, often with the ‘shamazing’ Hibiki Ichikawa, and never fails to entertain. Her brand new CD contains two songs, plus the karaoke versions of each of those songs. The lyrics are written in Japanese in the sleeve of the CD, so you can even practice your Japanese with the CD if you want to (I might!). 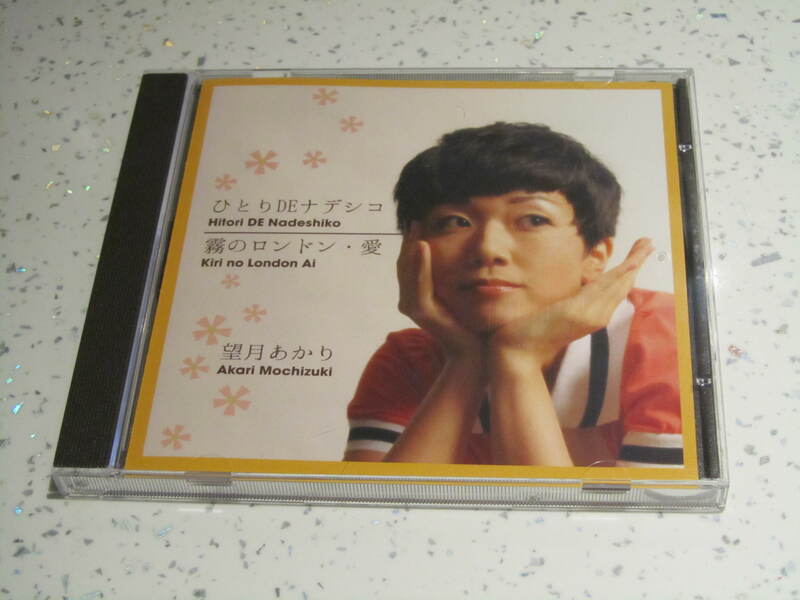 The two tracks are Hitori DE Nadeshiko (ひとりDEナデシコ), a solo song inspired by Japanese pop songs from the 1970s, and Kiri no London Ai (霧のロンドン・愛), a duet influenced by Japanese moody blues. Find out more about Akari Mochizuki on Facebook and look out for her at Hyper Japan 2012 Christmas next weekend! The CD is on sale at JP Books in Mitsukoshi department store on Regent Street, London.